Like many business owners, you probably created a business plan when you launched your company. However, as is often the case, you may not have looked at it much since then. Now that fall has arrived and year’s end is coming soon, why not dig it out? 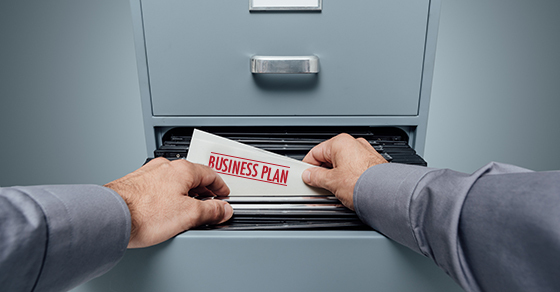 Reviewing and revising a business plan can be a great way to plan for the new fiscal year ahead. Executive Summary: This should read like an “elevator pitch” regarding your company’s purpose, its financial position and requirements, its state of competitiveness, and its strategic goals. If your business plan is out of date, the executive summary won’t quite jibe with what you do today. Don’t worry: You can rewrite it after you revise the other five sections. Business Description: A company’s key features are described here. These include its name, entity type, number of employees, key assets, core competencies, and product or service menu. Look at whether anything has changed and, if so, what. Maybe your workforce has grown or you’ve added products or services. Industry and Marketing Analysis: This section analyzes the state of a company’s industry and explicates how the business will market itself. Your industry may have changed since your business plan’s original writing. What are the current challenges? Where do opportunities lie? How will you market your company’s strengths to take advantage of these opportunities? Management Team Description: The business plan needs to recognize the company’s current leadership. Verify the accuracy of who’s identified as an owner and, if necessary, revise the list of management-level employees, providing brief bios of each. As you look over your management team, ask yourself: Are there gaps or weak links? Is one person handling too much? Operational Plan: This section explains how a business functions on a day-to-day basis. Scrutinize your operating cycle — that is, the process by which a product or service is delivered to customers and, in turn, how revenue is brought in and expenses are paid. Is it still accurate? The process of revising this description may reveal inefficiencies or redundancies of which you weren’t even aware. Financials: The last section serves as a reasonable estimate of how your company intends to manage its finances in the near future. So, you should review and revise it annually. Key projections to generate are forecasts of your profits and losses, as well as your cash flow, in the coming year. Many business plans also include a balance sheet summarizing current assets, liabilities and equity.